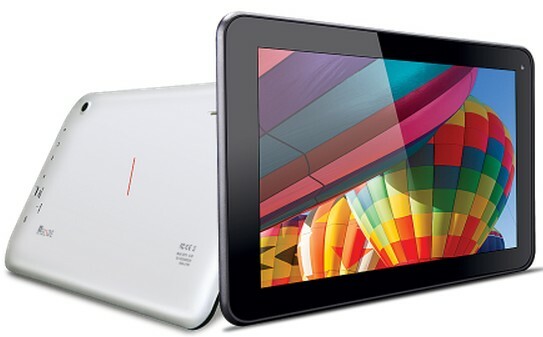 iBall has launched its new Andriod Tablet "iBall Slide i9018" in the Indian Market at Price Rs.10,990. iBall Slide i9018 is powered by 1GHz Dual Core Processor.It runs on the OS Android v4.2 (Jelly Bean).The tab sports with a 9 inches Capacitive Touchscreen Display with the resolution of 1024x600 Pixels.iBall Slide i9018 comes with 2 Megapixels rear camera and (VGA) front-facing camera. The tablet consist of 8 GB of internal storage and can be expandable upto 32 GB.The connectivity features are Wi-Fi,3G,Bluetooth,3.5mm audio jack,and micro USB.The battery capacity is loaded with 5000 mAh Lithium-ion.